Bambury launched striking quilt sets one of them hot selling named is Maya Quilt Cover Set by Bambury. Elan Linen is offering 40% Special Discount and issuing its customers a chance to get their most adored quilt cover sets brand Bambury products at special discount. Maya Quilt Cover Inspired by traditional ikat patterns and Central American textiles, Maya is a playful mix of colour and pattern. 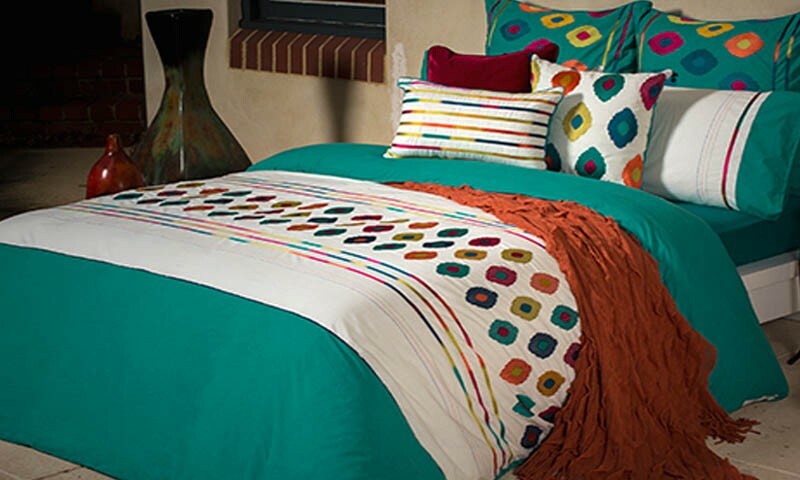 Not only is it sure to brighten up every room, but the fabric is a woven cotton percale, so it feels luxurious as well. The brightly coloured embroidery and stitching detail allows Maya to be accessorized easily with lots of vibrant colour. You can buy this alluring quilt cover at Elan Linen online store. shop online maya quilt cover by Bambury.